It may not be summer yet, but we are dreaming about it! Swimming has its obvious benefits: a full body workout, great for your general wellbeing, de-stressing and relaxing, increasing your energy levels, as well as help burn those extra holiday calories, gained after all the eating and drinking you will undoubtedly do when on vacation in Portugal. An indulgent experience awaits you when you rent wow factor Santa Mafalda with its infinity pool and Jacuzzi! 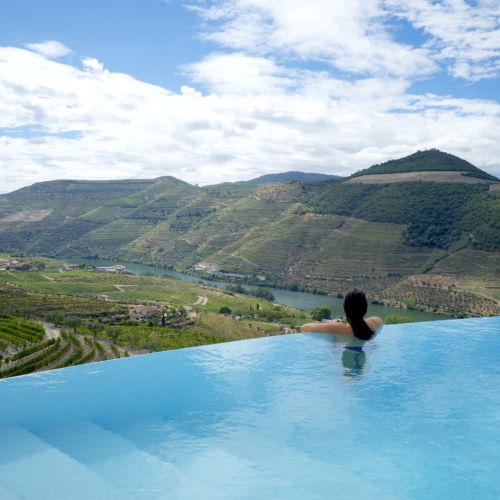 It enjoys the most spectacular views of olive trees and vineyard terraces, slopping all the way down to the river Douro. In the evening too, the setting is quite magical – the swimming pool is flood-lit and the Jacuzzi ceiling is lit-up with tiny stars, whilst you look onto to the faint twinkling lights of distant villages. This free form pool size is 11 x 4,40 meters, all at one depth of 1,45 meters with roman steps and a feature bridge and cascade. 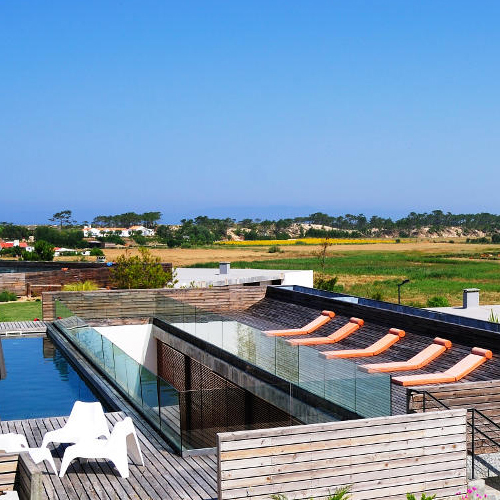 The Beach Villa at Comporta with its panoramic rooftop swimming pool faces west towards the setting sun and is located within a short walk to the beach. 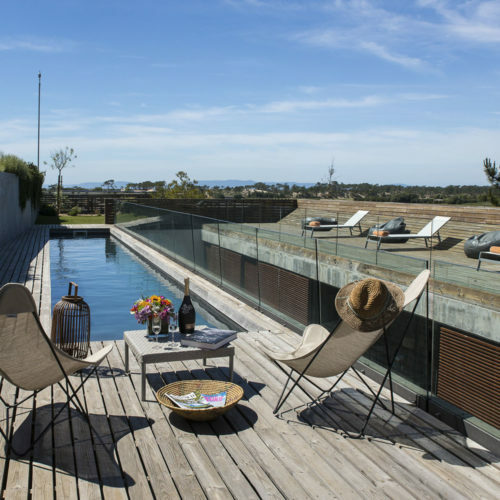 Enjoying distant views of the Arrabida hills just south of Lisbon, the roof terrace has a curving deck, perfect for sunbathing. Whilst at night you might be tempted to do some stargazing when sipping a chilled glass of wine and listening to the sound of waves! This lap swimming pool has roman steps and is 15 x 2,50 meters in size, all at one depth of 1,35 meters; with pool heating available on request. 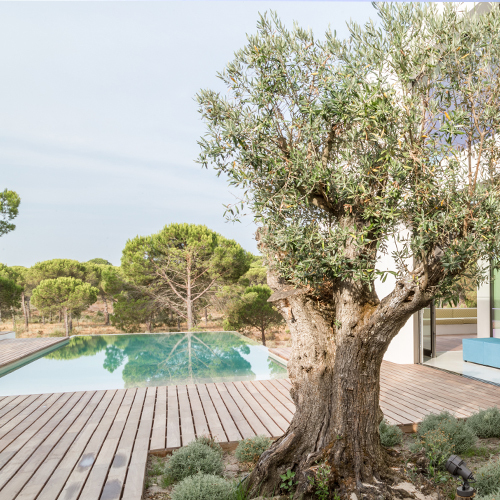 Olive trees, Mediterranean shrubs and aromatic herbs frame the long and inviting infinity swimming pool at As Oliveiras. It is perfect for swimming and sunbathing or just chilling out with a book in the heat of the day and charming when all floodlit in the evenings. 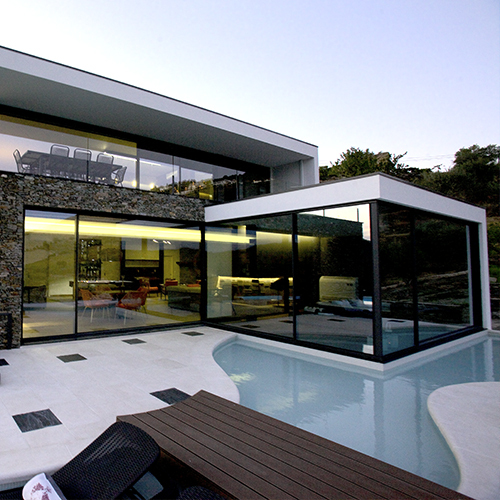 In a south facing setting and sitting amidst a pine forest, this villa has ceiling-to-floor glass windows that open onto to the decked pool terrace, where lavender and rosemary give off wonderful aromas day or night. The pool has roman steps and is 18 x 6 meters in size, with a 1,50 meters shallow-end and a 2,00 meters deep-end. 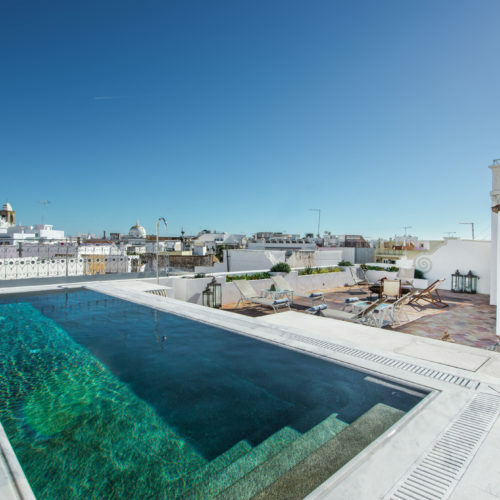 Olhão Townhouse’s stunning rooftop pool and terrace are ideal to celebrate a special occasion or for a corporate get-together. 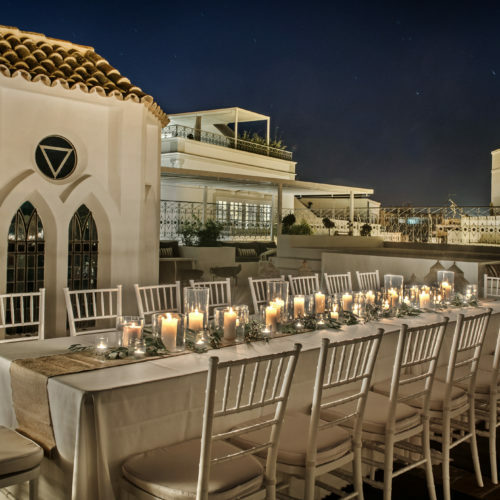 The terrace can double-up into an early morning yoga deck with the local church bells ringing in the background and a racing pigeon fly by; or into a romantic outdoor dinner setting with its adjacent bar. The swimming pool is salt treated with roman steps and 9 x 3 meters in size. 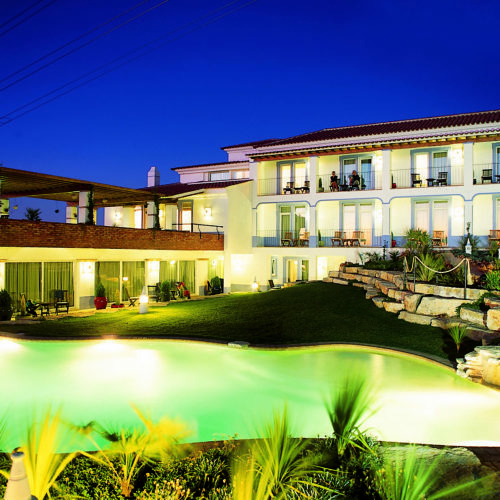 Set within Villa Lagos 2,500 sq metres grounds, this tropical style pool looks especially attractive when floodlit in the evenings, with the cascading Jacuzzi, feeding into it. Added extras at this property and especially attractive for wellness fans, include a fully equipped gym, a massage room and a sauna hut. The Jacuzzi can also be heated on request. The free-form swimming pool has roman steps and is approximately 12 x 4 metres in size, varying from 1,10 – 1,50 meters in depth.